The PSU or Power Supply Unit is quite simply in my opinion the most important functional component of a modern computer and yet it is simultaneously one of the most overlooked and under speced parts of a machine’s build. There are many different people who construct their own computers and each has their own take on PSU quality and selection. As with all PC components they come in many sizes to suit the style of case of the computer they are being installed in, but they also come in a range of prices to suit all pockets. 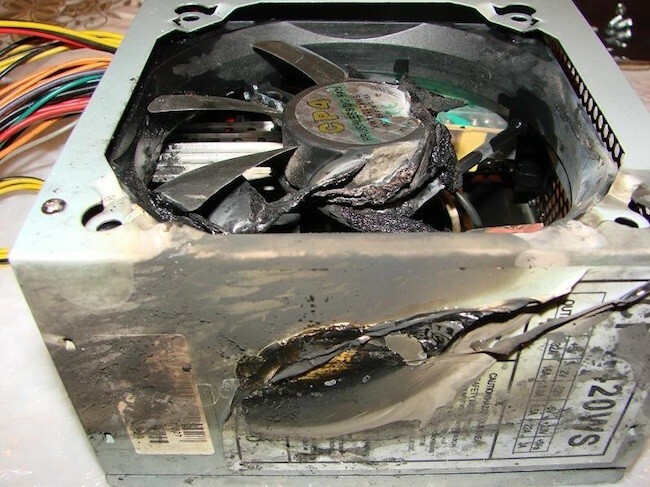 However cut price Power Supplies frequently mean cut down electronics, reduced safety, efficiency and can result in a VERY expensive disaster. In this article I hope to explain the different form factor’s for PC’s and their respective Power Supply Units, some of their manufacturers and more importantly some of what can go wrong. 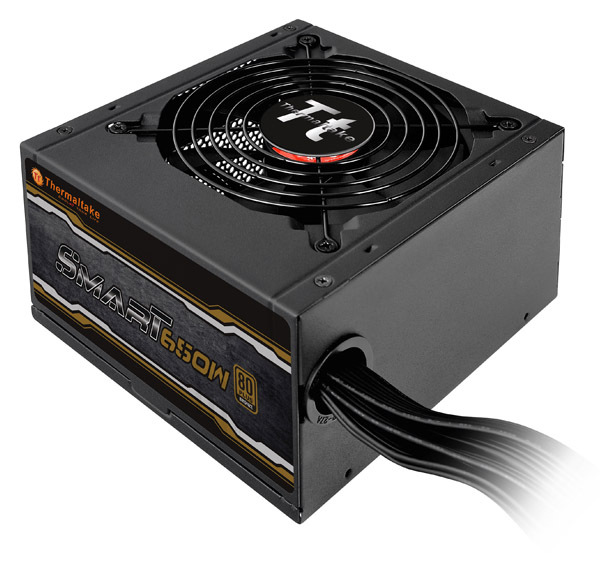 There are many PC builders who will simply select the absolute cheapest PSU part that has sufficient capacity for the task. They will then advise you to expend the rest of your budget on better components for your computer. This may sound like a relatively sound strategy, but the simple truth is that by undercutting your power supply you are compromising the foundation of your computer. The PS2 form factor is the type of power supply found in almost every single full size desktop case. 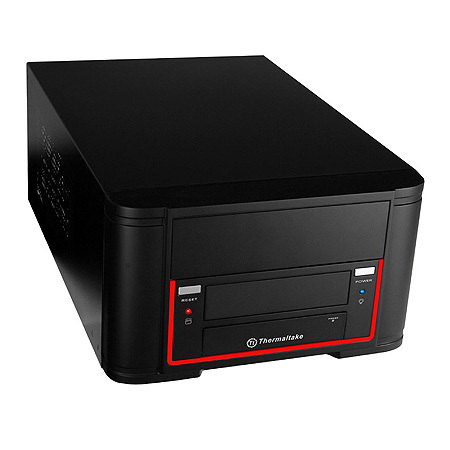 These cases are generally quoted in terms of the type of motherboard that they can house. So if you purchase an ATX motherboard, you will in all likelihood purchase a case that can house at a minimum an ATX board. Most cases can host a range of boards though, with the very largest able to host everything from Micro ATX or M-ATX boards to Extended ATX or E-ATX boards. Generally speaking the form follows the function and this is also true of the PSU. In the above picture you will find a fairly typical E-ATX case. The first thing you will notice is that it is of considerable size, these cases are not designed to melt into your living room, but are instead designed to accommodate as much hardware as possible. If we also look at the bottom of the case you’ll notice a rectangle cut-out, it is into this area that a Power Supply can be installed and being one of the larger cases the power supply will be of the PS2 variety. Above we’ll see an image of a fairly typical PS2 type power supply. But even then this image does not tell the complete story. There are several criteria that you should be made aware of when it comes to the selection of a power supply with the primary one being its maximum power output. This is generally stated in terms of Watts. As you piece together components for a computer or if you are selecting a new component for a computer it is important to ensure that the components you select do not outstrip the maximum power delivery of the PSU. The chances are good that this will simply result in a failure to start, but in the case of cheap Power Supplies the internal energy draw differential can start an electrical fire or at the very least result in a blown out supply and/or components in your machine. As a rule of thumb I generally total up the current required by my components and leave a headroom of around 15%-20% + depending on the application the machine will be used for. So if my machine’s components have a draw requirement of around 600Watts I’ll generally plop for a 700-750Watt supply. This has two benefits; it leaves room for the user to add an extra device or two, or expand on what they are supplied and; you may have calculated the total draw of the components, but the reality is that the way a machine behaves when at maximum performance can be quite taxing on every component not least of which are the fans that cool it. Those fans will spin up to their maximum rotational value when the machine heats, drawing potentially more power. Having headroom is more preferable to running at the limit. The second important factor to include in power supply selection is efficiency. No I’m not talking about how efficient it is to burn a kilowatt of energy playing games (though I do hehe). I’m talking about the efficiency of the supply at converting energy from the electrical socket your computer is attached to into the form that it needs. Most cheap power supplies achieve an efficiency rating of 50% or less. So lets select a Power Supply with a known output, and we’ll say that output is 1000 Watts. If the supply has an efficiency rating of 50% then what it consumes at the wall socket is 1500 Watts. That is a considerable additional expenditure in anyone’s books. The more expensive supplies have a much better efficiency rating most target the 80% range. That means that your 1000 Watt power supply draws 1200 Watts at the wall socket eventually the additional expense of these supplies can return a saving to you and this is an important consideration if you are a heavy computer user. Modular, Semi-Modular or Full Cabled. Most of the cheapest supplies are fully cabled devices that incorporate all the cables already welded directly to the PSU circuitry. What you get (as with the image above) is metal box with a large number of cables pouring out of a hole in that box. With the hope that you have done your homework and know ahead of time that it has a sufficient number of each power connector because you’re stuck with what has been provided. You can of course use a splitter, a cheap plug on one end that splits into two separate connectors at the other, of course this will increase the draw on the supply, but not just the supply but the capacitor or rail delivering the energy to that particular cable. It is possible to overload an individual component in a PSU in this manner. Additionally they can make a serious mess of your home built machine or system upgrade. Because whether you need em or not all the cables are spilling out of that little hole blocking ventilation, occupying space and generally getting in the way. 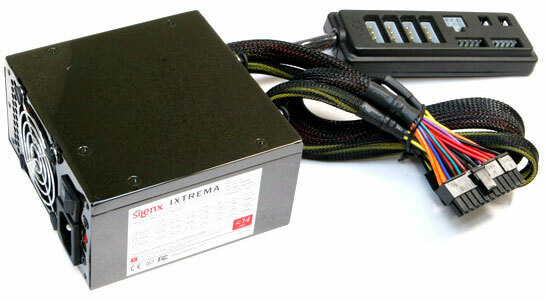 The semi-modular PSU, which is where these beauties come in. These tend to be my preferred supply choice. The Semi-modular supply features the same hole but has only a few cables pouring out of it. These cables tend to be the most common essential items required by every modern computer, being at a minimum the motherboard power supply connector and the CPU power connector. Additional power cables can be added as required depending on the devices installed. Just as long as you stick within the confines of the available connectors and the output delivery of the supply. Machines constructed using these tend to be much neater than their fully cabled counterparts because its possible to eliminate unnecessary cables which reduces the impact on ventilation and results in a tidier easier to understand construction result. These supplies do tend to cost upwards of $200 though. The final option is the Fully modular supply, which is very similar to the above pictured supply except that it has no hole and absolutely no cables pouring out of it or attached to it at all. It even presents the standard Motherboard + CPU power connectors as additional cable options. Fully modular supplies can be very expensive and cost in the region of $250-$500 depending on the power output. It’s important to note however that generally it is the PS2 type Power Supply units that have the largest capacity power output. There are other smaller form factor supplies that are designed for low power applications and environments. PC’s are as diverse as their owners and their application and this is reflected in the vast range of case design layouts from the very largest above to the very smallest available. And although there are smaller boards and systems than Micro ITX, these still typify the lower power end of the PC range. Tiny case large enough to accommodate a Blu-ray drive and that’s about it. These cases represent the pinnacle of PC form factor’s. 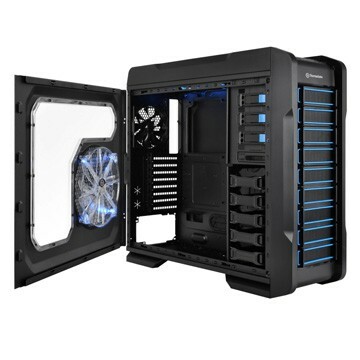 They generally feature a very cramped design into which you can fit a motherboard, CPU, Blu-Ray Drive, cooling solution, power supply, Hard Disk or Solid State Drive. They can also generally accommodate a graphics card, but these are generally lower end and low power affairs due to the case constraints but more importantly due to the constraints of the Power Supplies that are available for these systems. The biggest problem with small form factor devices is simply heat. Heat is the number one enemy of a computer which is a shame because they are awfully good at creating it. This can be said especially so of the higher end video cards like the GeForce Titan which has an operating temperature that can stretch to 90 degree’s centigrade. 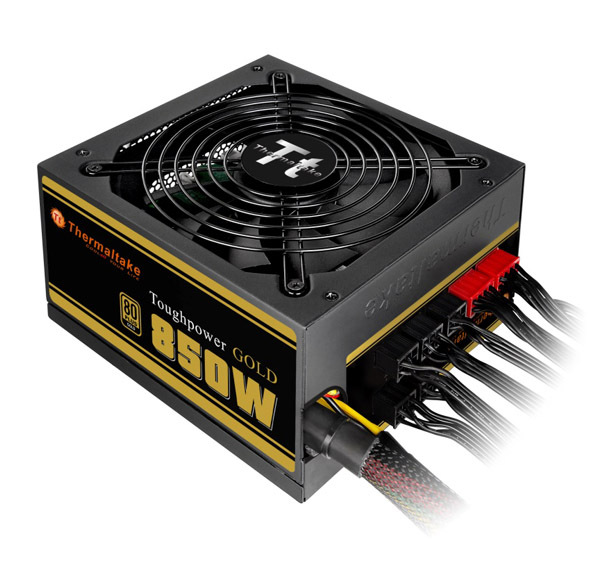 Additionally just one of those 380 Watt cards can theoretically outstrip the meagre Power Supply delivery of a Micro ITX supply of which the largest are capable of generating around 450 watts. And when you think of the physics for a moment and the sheer work that would be involved in cooling such a small device if it contained 1000 watts+ of hardware components in it you can understand why these devices are best suited to low power applications. It should be pretty clear that there is a significant size difference between ITX and PS2 Power Supply Units. This is also reflected in their electrical output, with the maximum power output that I have seen so far being around the 450Watt mark. This severely reduces the applications to which it is possible to put devices powered by these supplies. Typically they are best suited to being used as a living room computer that can be hooked up to your TV and used for movies, watching tv and depending on the video capability maybe even a light game or two but certainly nothing intensive. These machines also lend themselves to the lower end CPU’s which are also low power. For example the Intel 3960 CPU can consume around 130Watts at maximum usage, when that accounts for more than a quarter of your power budget and you haven’t factored into your equation how much energy your motherboard will consume you begin to appreciate how delicate a balancing act these systems can be. As you can see power supply selection is not quite as simple as you’d think. Along with considerations like the form factor and the application the computer is going to service you also have to keep in mind the power output and consumption, to gain the best cost solution for you. Sure you can go with the cheapest options and you may be lucky enough to find a good cheap PSU that satisfies your requirements. However in my experience most people who I know who have made their own machines have had to immediately go and purchase another power supply, either due to insufficient power connectors to service their devices, poor electrical standards compliance resulting in the PSU being unable to meet its advertised output or simply blowing up on first usage. 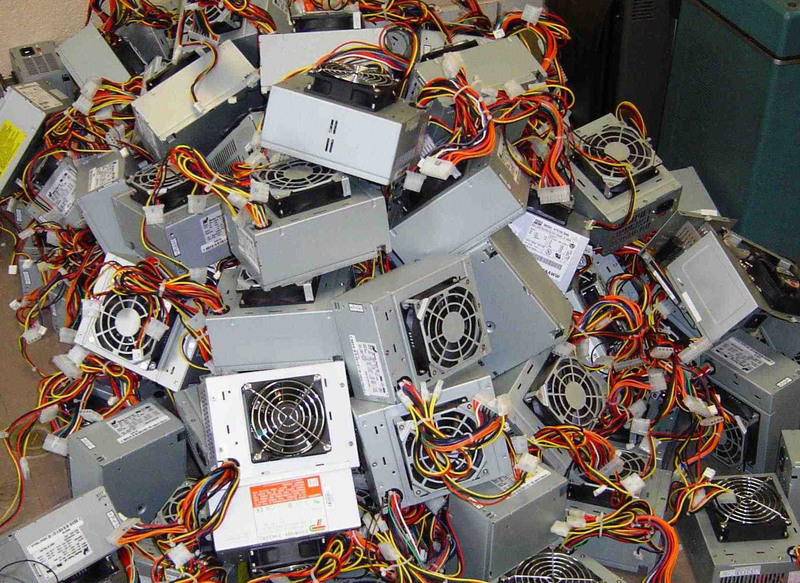 My own advice is to expend a few hundred dollars on your PSU, it will cost you less money to operate your computer by delivering improved performance and if you select a modular model you’ll construct a much neater and more easily understood machine. In the end is your computer worth more than the few hundred bucks it takes to avoid risks like this…..
A Technology focused blog featuring love, nerds and tech. Added a new article today about Power!